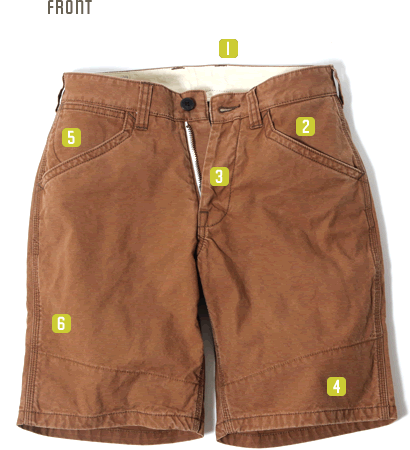 UES Duck Shorts are designed with a lot of work details. 100% cotton makes the best comfortable fitting for your daily wearing. 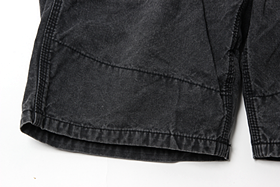 Sulfide dyed duck shorts’ fabrics are already tough enough, but we still enhanced them by triple stitching and reinforced fabrics. They are also tough enough for repeat washing and the shape doesn’t even collapse at all. You can enjoy the color fading. 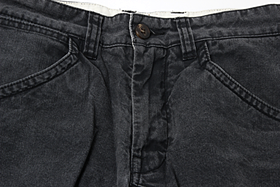 Check out the indigo dyed chambray shorts and sulfide dyed duck shorts. 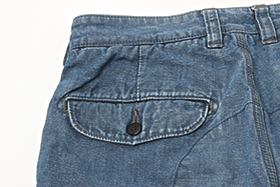 This is a sample of indigo dyed chambray shorts, which started wearing by our staff in 2015. He has worn it for over 2 seasons. 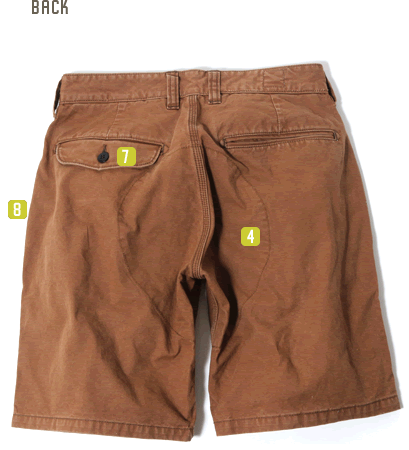 This is a sample of sulfide dyed duck shorts, which started wearing by our staff in 2015. 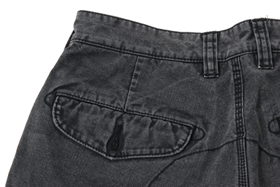 Considering the touch, the texture of pocket and waist is made by linen. 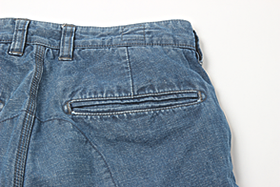 The shape of pocket is designed for you easy to put hands inside. Patched by linen canvas to power up the strength of texture. 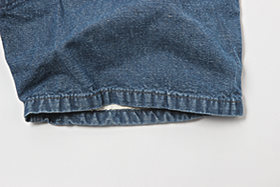 The coin pocket is designed roundly let you easy to take out the coins. Enjoy the changing of fade and tint. Natural materials Buffalo horn button. Tough winding sewing by 3 needles.